Deliver your message with style with innovative marketing materials that reinforce your brand. Taconic Marketing will design the specialty marketing items your business needs. As part of a promotion to encourage participation in the library's Friends program, which provides essential support to the public library, bookmarks were inserted in books borrowed from the library. Taconic Marketing also designed a coordinating poster. Click to view both sides of the bookmark. 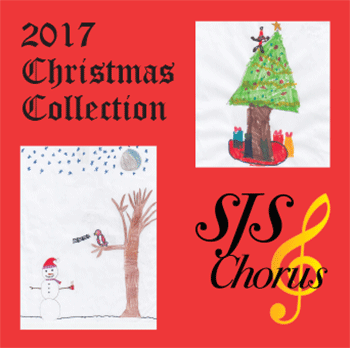 The award-winning St. Jude the Apostle School Chorus compiled their favorite Christmas Carols into a CD which was sold to support educational programs. 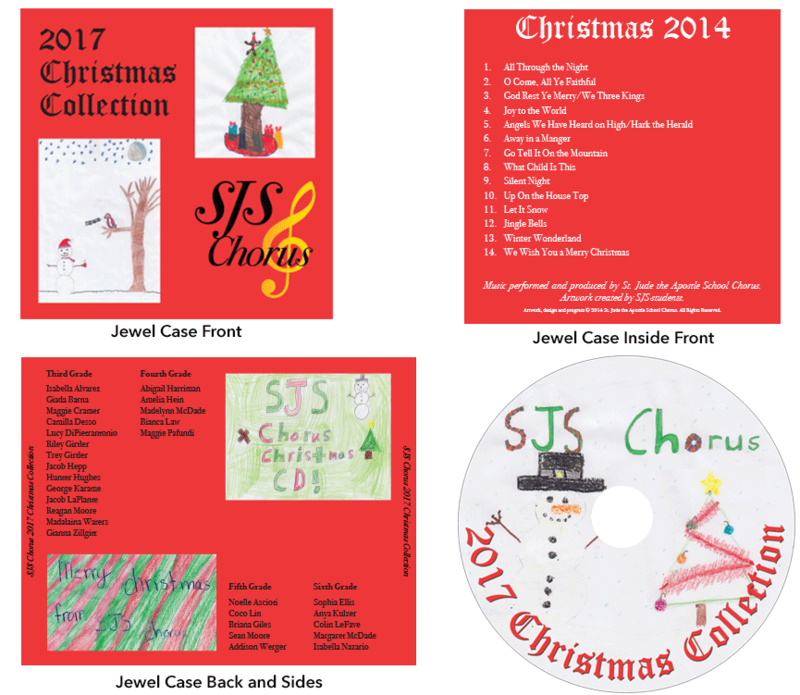 The children, with the direction of their music teacher and chorus director, produced the entire CD, including providing the original artwork used on the cover and on the CD itself. Click to view both sides of the jewel case and the CD. 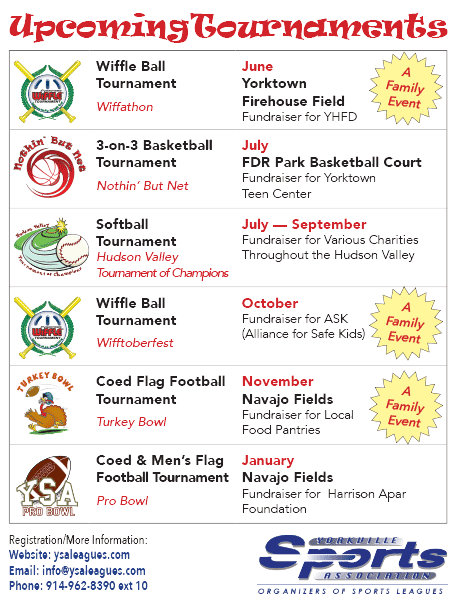 When Yorkville Sports Association needed to let local residents know about their upcoming tournaments in Westchester county, we developed a postcard, saturation mailed throughout northern Westchester, to spread the word. 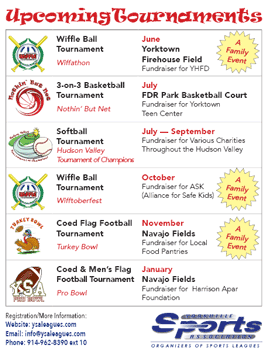 Taconic Marketing also designed the individual icons for each tournament (with the exception of Wiffle Ball which uses the Wiffle Ball trademark), which are used on all materials for the tournaments (t-shirts, banners, promotional materials). Although not used in this mailing, Taconic Marketing has participated in the USPS’s Every Door Direct Mail (EDDM) program, which offers reduced rate postage for pieces produced to the postal service’s specifications and distributed by postal route. Click to view an enlargement. 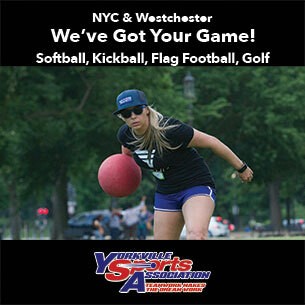 Championship teams in the New York City conferences of Yorkville Sports Association's softball leagues receive a cash prize. The ceremonial check features a photo of the NYC skyline in the background. 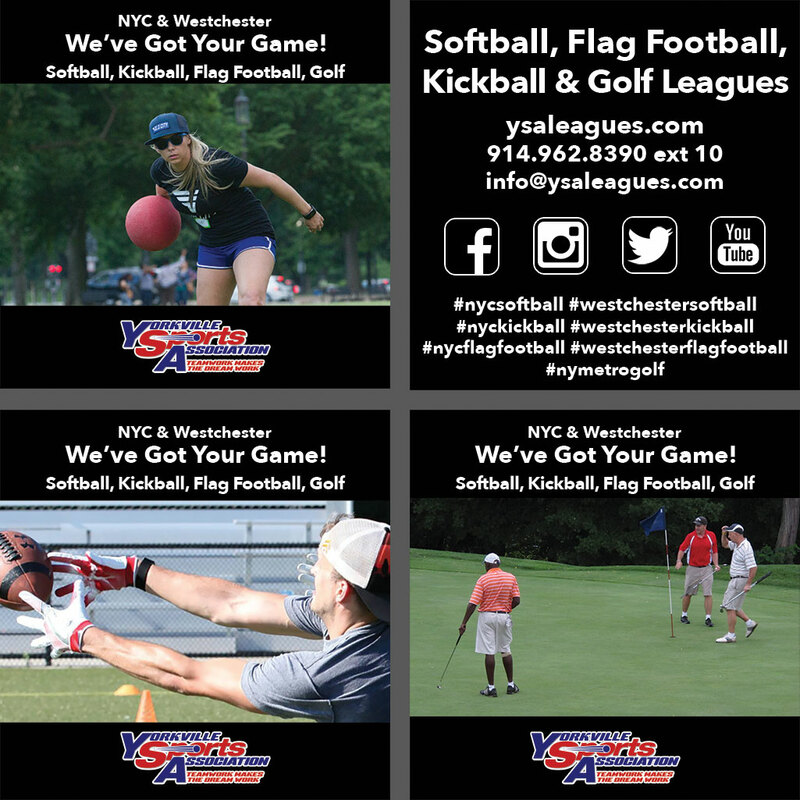 Leveraging the social benefits of participation in sports leagues, and their natural synergy with sports grills, YSA Leagues distributed good quality, attractive coasters to partner establishments in New York City. The bar owners were delighted with the free coasters, and potential players can just “take one” for future reference. The back of the coaster provides contact information to facilitate enrollment in softball and kickball leagues. Click to both sides of the coaster. © 2006-2018 Taconic Marketing. All Rights Reserved.